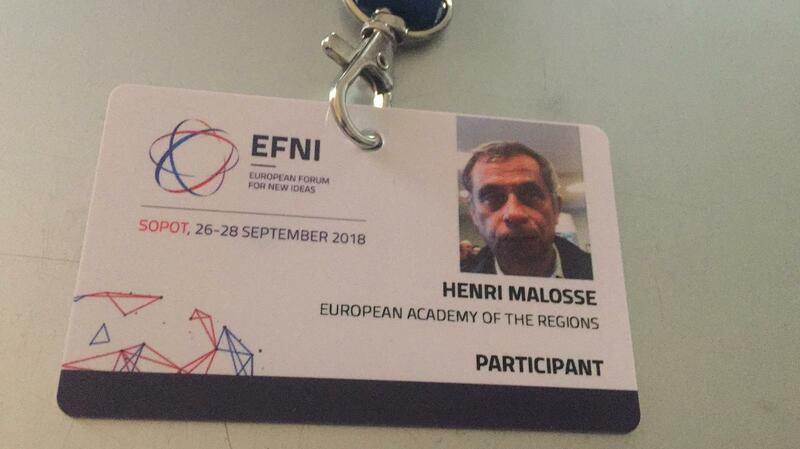 EAR-AER Honorary Member Henri Malosse is representing our academy at the 8th edition of the European Forum for New Ideas (EFNI) which will take place from 26 to 28 September 2018 in Sopot, Poland. 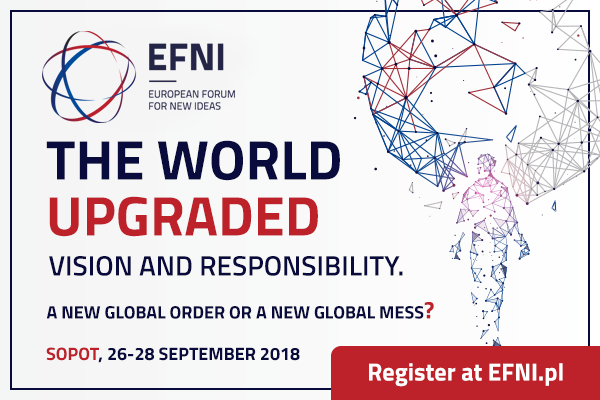 The European Forum for New Ideas is one of the largest conferences in Central and Eastern Europe, dedicated to global trends, new ideas and the future of Europe. Business representatives, charismatic speakers, leaders and policy-makers as well as authorities from the world of culture and science discuss the most important challenges for business and society in a changing world, global trends and the future shape of the European Union during various events, panel discussions, open meetings, counterpoints and night owl discussions. Every year, the Forum gathers over a thousand attendees – business leaders, scientists, representatives from the world of culture and administration, Polish and European alike.